Check out “Welcome – Ahlan wa Sahlan” on Kickstarter! 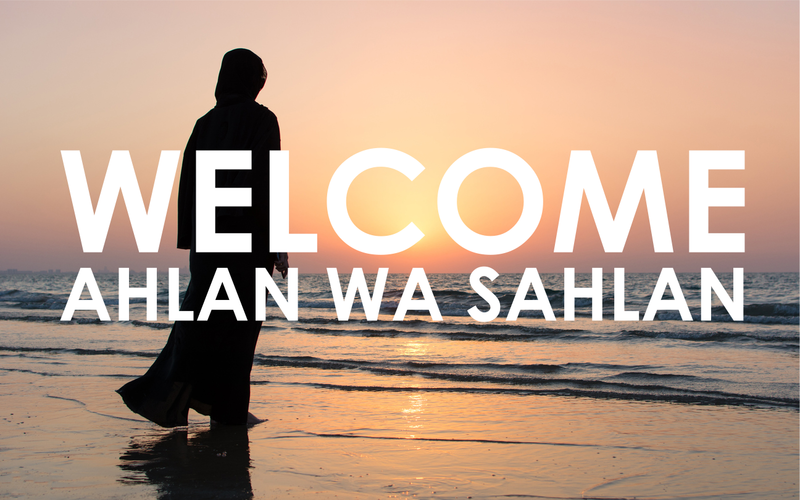 I have mentioned my film projects on the blog before, so I’m excited to share an update about Welcome – Ahlan wa Sahlan. This short film is a queer fantasy romance about Shadia, a Syrian refugee newly arrived to a small house on the coast of Nova Scotia with her aunt and uncle. When she finds a shell carefully placed on her dock one morning, she takes an interest in her new home for the first time. More gifts follow, and Shadia leaves her own in return. She is soon shocked to discover that her benefactor is a mermaid. Shock gives way to friendship, and friendship to something more as Shadia and the mermaid share wonders from their very different worlds. Production is largely being funded through the FILM 5 program at the Atlantic Filmmaker’s Cooperative (AFCOOP), but contributions via Kickstarter will allow me to include more special effects, pay my crew more, and top up funds for things like set design and craft services (food for the cast and crew). And even if you aren’t able to contribute financially, sharing the project page with friends/online is a huge help! I feel very fortunate to be working with some amazing people on this project, including Lina Arafeh, a member of the Syrian refugee community in my hometown of Nova Scotia. Lina’s advice has been invaluable in making this film inclusive, accurate, and respectful. The role of the Mermaid will be played by Stephanie Norman (aka Raina Mermaid), who is a professional mermaid/actress/model/educator. I have already learned a ton from her about everything from working and shooting underwater to ocean conservation! Welcome – Ahlan wa Sahlan on Kickstarter! Author nicolarwhitePosted on March 5, 2019 Categories UncategorizedLeave a comment on Check out “Welcome – Ahlan wa Sahlan” on Kickstarter! I love making New Year’s resolutions (though I don’t always keep them). For 2019, I have resolved to be more purposeful in my business decisions. While I’m still pursuing projects I’m passionate about, I also plan to devote more time to developing career goals and specific objectives to accomplish them. In the past, I have taken more of a “try everything and see what sticks” approach but this year, I have developed a business plan to keep track of everything. I presented a workshop on business planning at this year’s first meeting of the Romance Writers of Atlantic Canada. As part of my research and preparation for the workshop, I developed this Power Point presentation. I hope it is useful for some of my readers and fellow authors! Man’s Ruin is the second of my novels available in Spanish, and I am happy to share this translation by Maria Guaicara with you. I especially like the translated series title. In English, it translates to A Wolf at Work, which is very fitting for either the hero or heroine. They are both tough, loyal, and deadly in the right circumstances. While Maria was translating the book, I learned of several interesting coincidences between her own life and the heroine. Like Magdalene, Maria attended a Catholic school as a child and her mother’s name is Carmen. In fact (minor spoiler alert), in the book Magdalene’s birth name is Maria! I was an extra in the Lizzie Borden Chronicles. As I have branched out into comic books and game writing in the past year (announcement coming soon! ), I have also gotten interested in filmmaking. I have worked as an extra on a number of sets over the years – most recently the Lizzie Borden Chronicles starring Christina Ricci – and have always wanted to learn more about how movies are made. So this year, I decided to take a flying leap into making my own movies. After volunteering as a production assistant on a couple of short films to get more experience, I began to attend workshops at the Atlantic Filmmakers Cooperative in my hometown of Halifax, Nova Scotia. The Nova Scotia Victim Services Program offers support to victims of crime by providing information about the justice system and victims’ court cases, and by helping victims prepare Victim Impact Statements. But clients of the Victim Services Program have reported a lack of communication from program officers, inadequate funding for the counselling they were promised, and inadequate information about court proceedings. Through interviews with clients and stakeholders, Victim Impact provides a balanced view of the strengths and shortcomings of Nova Scotia’s Victim Services Program. A fantasy romance about loss, acceptance, and love that spans the gap between two very different worlds. Shadia, a Syrian refugee, arrives in coastal Nova Scotia, and is lost in sorrow until she strikes up a friendship with a mermaid. When that friendship becomes something more, Shadia finds hope in this new world. I am directing this movie and my friend/co-writer, Tim Hanley, is producing Welcome/Ahlan wa Sahlan. 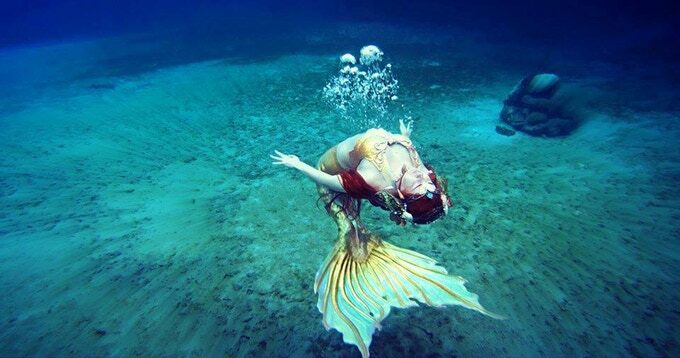 The mermaid will be played by Raina Mermaid, a professional mermaid, actress, model, and educator. Author nicolarwhitePosted on December 11, 2018 Categories UncategorizedTags directing, filmmaking, independent film, screenwritingLeave a comment on My first short film(s)! For those who have been following my comic book project, I am very excited to share that issue #2 of Wild Rose was fully funded on Kickstarter! As part of the promotion surrounding the crowdfunding campaign, I wrote a guest post about Crowdfunding for Feminist Creators over at Offbeat Home & Life. This month, I also spoke to a group of talented teens enrolled in an entrepreneurship program at the MacPhee Centre for Creative Learning. More and more creators of all ages are becoming interested in crowdfunding their creative projects, so I thought I would share some of the things I have learned! 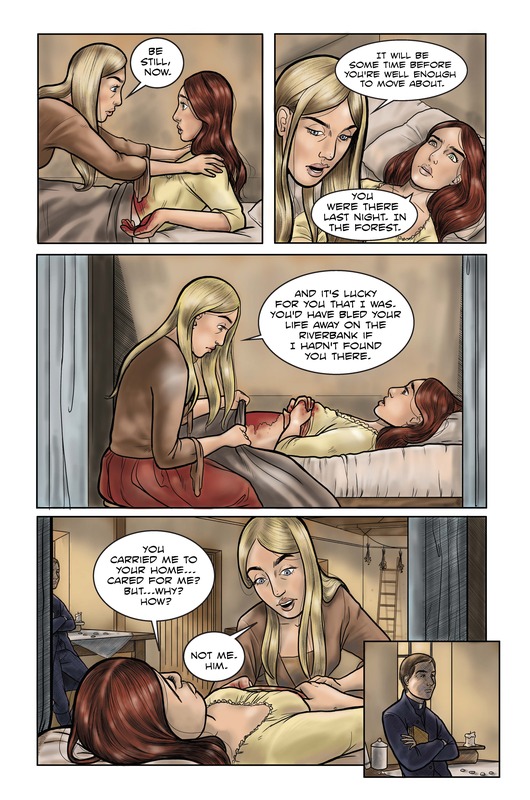 Wild Rose Issue #2 is Live on Kickstarter! Gravely wounded and abandoned by her lover, heroine Eliza Day must come to terms with her heartbreak and shame if she is to realize her revenge. Her only allies are the unlikely duo of a Catholic priest and a witch with secrets of their own. Check out the first three pages of issue #2! Author nicolarwhitePosted on July 17, 2018 Categories UncategorizedLeave a comment on Wild Rose Issue #2 is Live on Kickstarter! 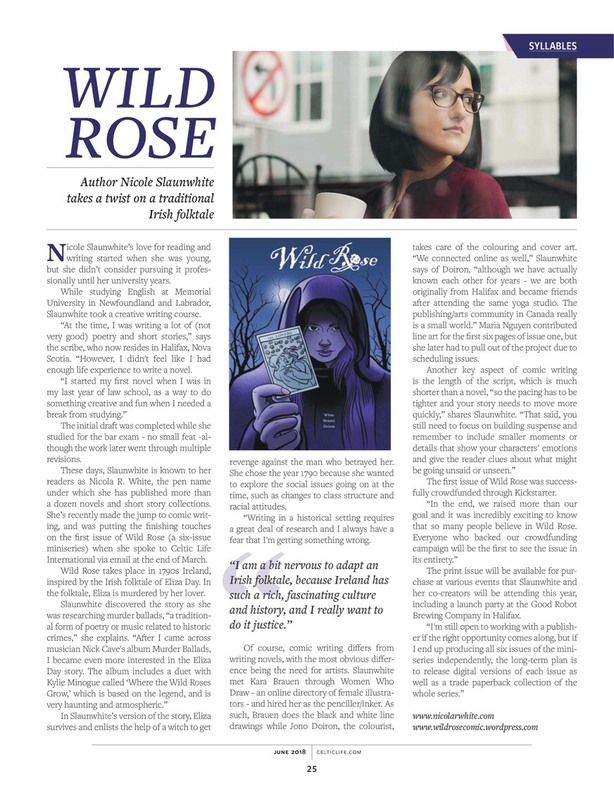 I recently spoke with CBC’s Aya Al-Hakim about Wild Rose. (Fast forward to 26:13 to see me). Launch party recap and photos to follow! If you’re in Halifax, Nova Scotia on June 21, 2018 I would love to see you at the launch party for my comic, Wild Rose. The party will be hosted by the Good Robot brewery from 7-10 pm and I will be giving away some great door prizes. I will also have copies of issue #1 for sale. The Good Robot Brewing Company is located at 2736 Robie Street in Halifax (see map below). Come chat with fellow book and comic lovers, have a drink, and check out the first print run of Wild Rose! 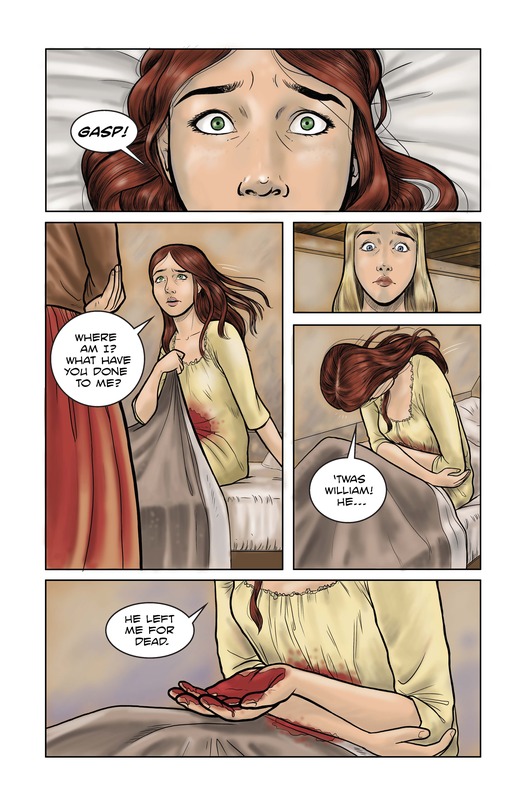 Celtic Life International just published a great article about my indie comic book, Wild Rose. Check it out!